I grew bush Roma tomatoes “free-range” in the front yard this year, instead of undercover. The plants were beyond loaded with fruit but the way they were sprawling over the soil was making me nervous. I feared that late blight would set in, or that ripe ones would be consumed by critters. To error on the side of caution, I harvested them all and removed the tomato plant material from the garden. 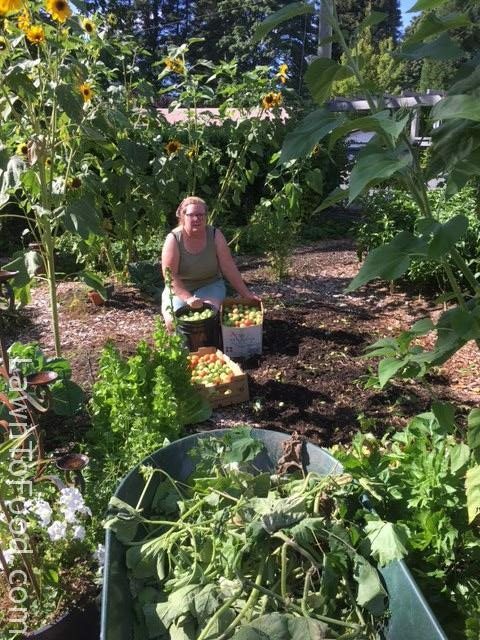 The ten Roma plants (that I started from seed) yielded over 200 pounds of tomatoes in their first and only harvest. 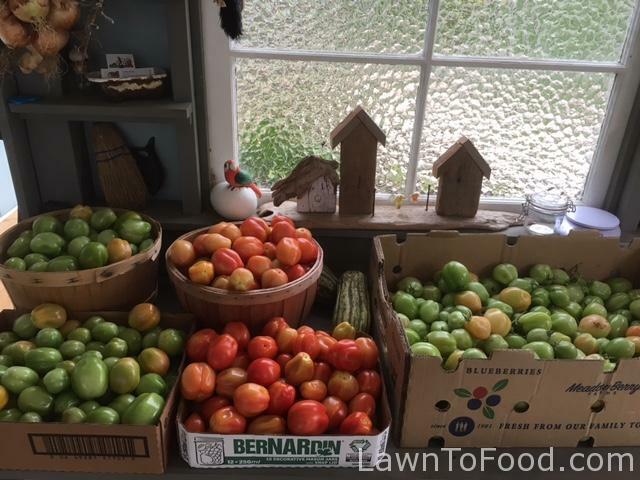 This is part of the haul, as I had moved some to the carport already, but it shows the variety of the yield and the small amount of garden space that was used to grown them. Once they were all moved to my carport, I sorted them into three categories, red, orange and green and left them in a shady area. These are the orange and green ones that were sorted 24 hours ago. I can’t believe how quickly they are changing colour and ripening. 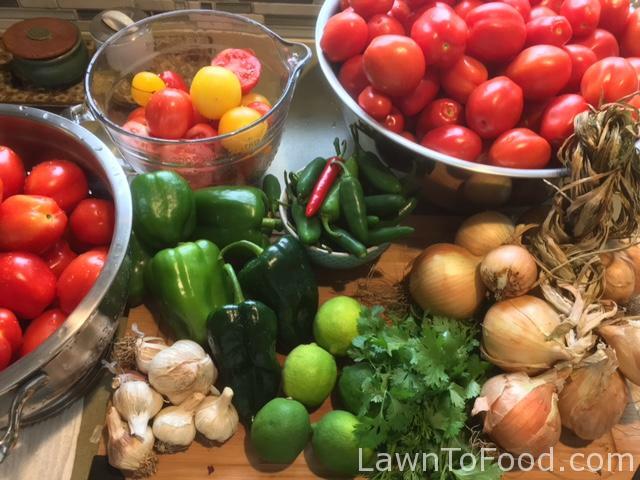 After seeing this today, I realized that I better get the red ones made into salsa PRONTO, before then next batch is ripe and ready to process! I love the abundance that this time of year brings to our kitchen counters!